Dr. Wayne Remington, a native of Pennsylvania, graduated from Ursinus College with a Bachelor of Science degree in Chemistry in 1978 and Temple University School of Dentistry with his Doctorate of Dental Surgery in 1982. Upon completion of a two-year General Practice Residency at the University of Virginia in 1984, he joined a private practice in Charlottesville while maintaining teaching status with a Clinical Associate Professorship with the Department of Dentistry at the University of Virginia. Dr. Remington’s love of teaching continued with a Visiting Assistant Professorship at UVa, as well as developing the second surgical microscope training center in the U.S. with the Virginia Microscope Training Center. He has taught courses in surgical microscope use nationally and internationally, including courses in Germany, the Netherlands, Denmark and Lithuania. 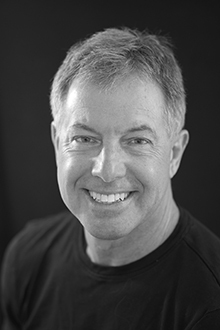 Dr. Remington also teaches courses in aesthetic dentistry and materials around the world. He is currently head of teaching faculty with the Academy of Microscope Enhanced Dentistry and conducts training classes for AMED internationally. He has been recognized for excellence in dentistry with admission to Omicron Kappa Upsilon, the national dental honor fraternity, and the Pierre Fauchard Academy, the international dental honor society. In addition, he has been selected as one of America’s Top Dentists since 2005 and as one of Virginia’s Top Dentists since its inception in 2009. Selection to both these lists is made by peer dentists, reflecting Dr. Remington’s great reputation in the community. Though proud of these accomplishments, Dr. Remington’s greatest pride is his family. He has been married for 38 years to his wife, Cindy, a lactation consultant. They have three daughters- Kelly who works at S&P Financial and has three children- Evan, Mason and Ava ; Courtney who is in her third year of medical school in Texas and is married to Matthew Claro; and Tracy who works at Tiger Lily Investments and is married to Ross Parker and has two children- Penelope and Darcy. His interests outside of spending time with his family include skiing, fly fishing, hunting, cycling, traveling, and farm work.